Minister Baird It is the PERSIAN GULF! 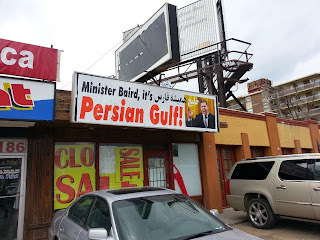 Recently John Baird made a historically and politically incorrect statement by referring to the PERSIAN GULF as the Arabian Gulf. The Iranian-Canadian community in Toronto was quick to speak out and voice their concerns, although Mr. Baird has not issued any corrections.